Over the years, I've been slowly easing myself into fashion. Don't get me wrong. I've always had an eye for it but never actually started executing trends and styles that I like. Now that I make my own money, I can experiment all I want. Today I will be sharing my TOP 5 trends that I love and personally think won't go away anytime soon. So let's jump right to it . Oh how I love me a good Thrasher or Metallica band Tee. In high school I used to wear them 24/7. Majority of the time I didn't listen to the band until I bought the shirt. But I'm getting off track as usual. 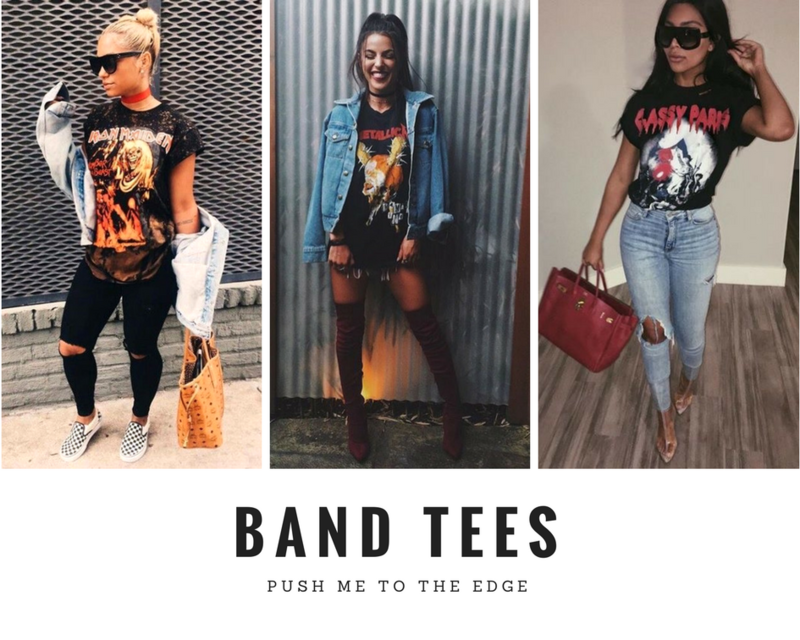 Band tees are an everyday staple piece. You can dress them up or dress them down as shown above. These types of shirts are sold literally everywhere. Check out your local Hot Topic, Zumiez, or even Forever 21 in the Men's section. I just hopped onto this trend. I finally bought my first pair of stripped pants from H&M a few months ago. Sadly I ruined them by spilling foundation on them... sad life. I've always thought this look was timeless. It's a little on the more chic side, but us fashionistas should be able to switch it up. The photos above are exactly how I style the pair of striped pants that I own. Accessory wise, I would pair it with my favorite oversized Kim Kardashian inspired shades and simple black thong sandals. I know what you're thinking: "This is sooo the 90's". But I wont steer you in the wrong direction lil baby. Yeah you've might of see your mom wearing an all denim outfit in a throwback polaroid and thought she was crazy. But mama knew what was up. All your fashion idols at one point rocked an all denim outfit and I'm pretty sure you went crazy over it. My tip for pulling off an outfit like this is to not be afraid of mixing specific denim colors with another. Also make sure your shoes are a pop of color like red or blue. If you know me personally, you know that I swear up and down camouflage was the best thing ever created. I own numerous jackets like this with different patterns in my closet. 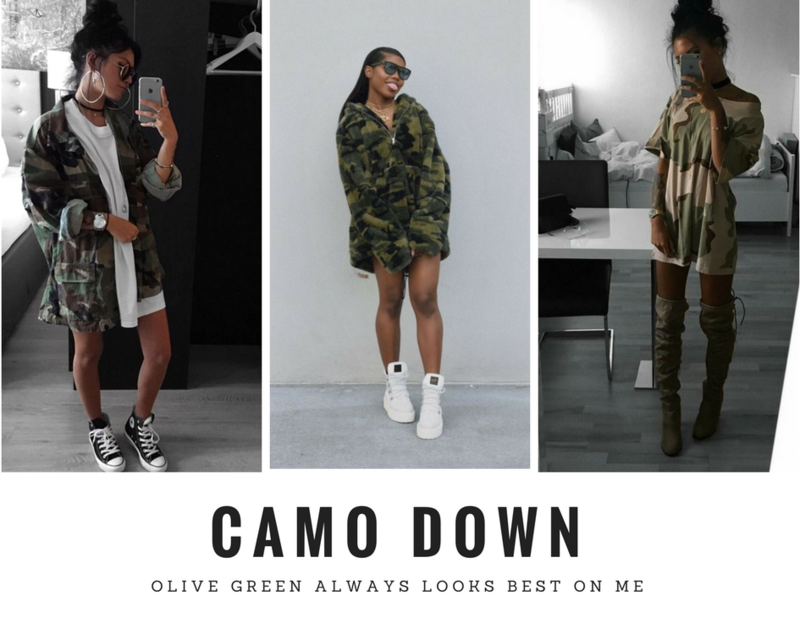 In general, olive green looks amazing on all skin colors but your camo doesn't have to be only green. I've seen a plethora of colors being worn especially orange. Hands down this print is a staple piece and it should be in everyone's wardrobe. 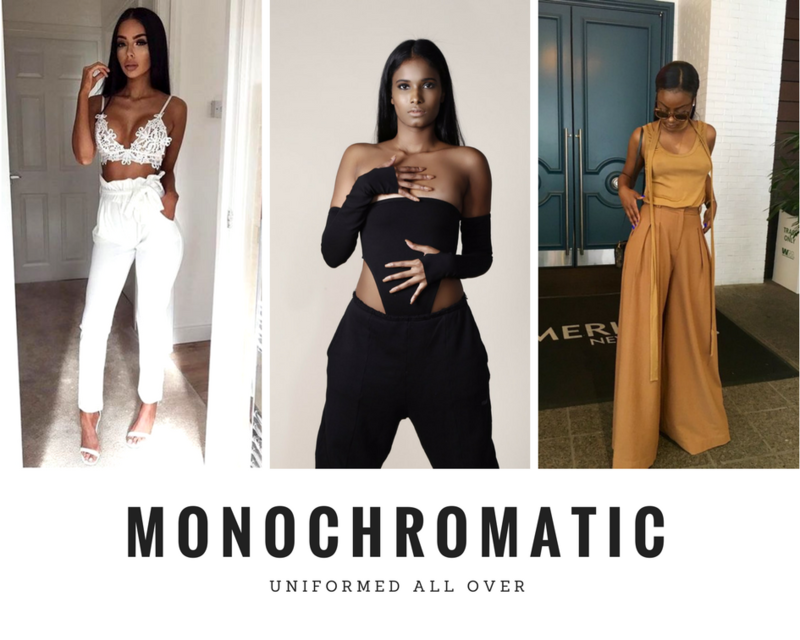 Monochromatic is uniformity at it's best. You can never go wrong with wearing all one color. This look doesn't have to be specifically dressy either. I've seen tons of people dress this trend down. If you try out this trend, don't over think it. Each piece doesn't have to be the same exact color or texture. That's the beauty of this trend. Don't be afraid to step out of your comfort zone with this one. Welp, I think I covered enough. I promise you every last trend mentioned above will always be "in style". 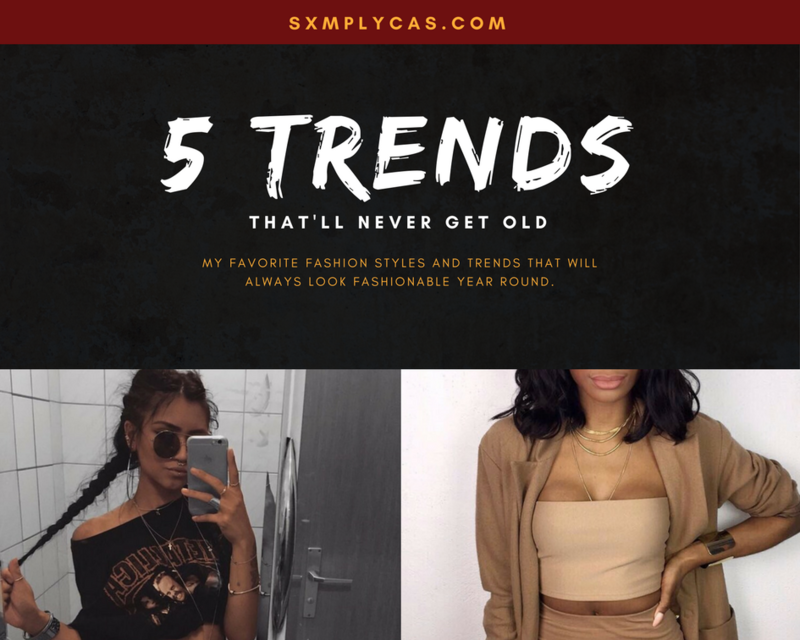 If not comment below what trend do you think is timeless. I'm curious to know. Share some knowledge with a real one! 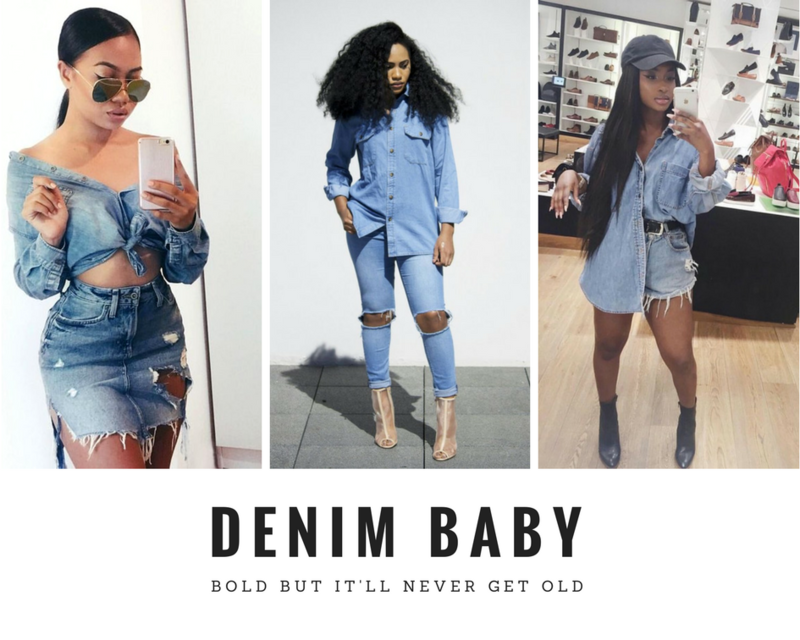 I love all the trend especially denim and strip! 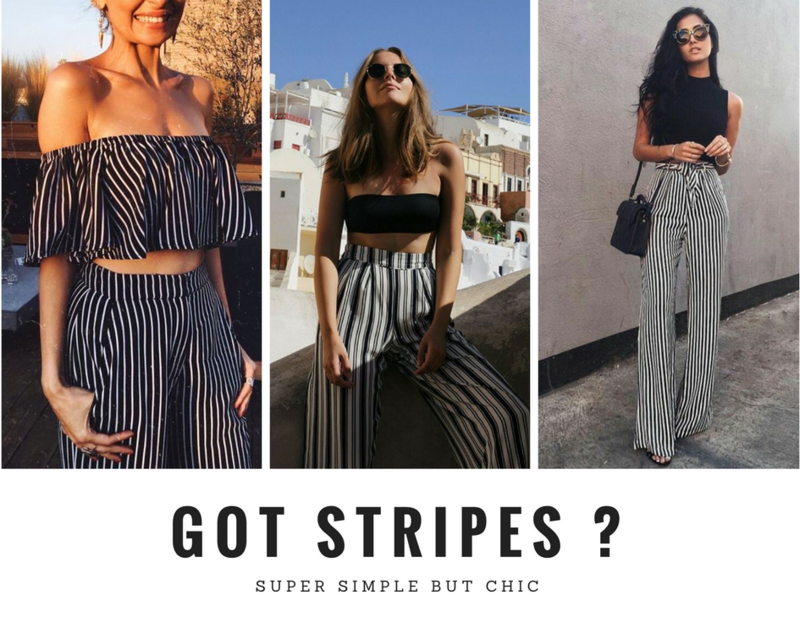 Love the strip trend, totally rocking that look. Had no clue the bad tee was back in. Great article! I'm so into all of these, I agree they'll never go out of style! BEST AFFORDABLE FRONTAL EVER ?